Sony announced today that it's pulling support of its PlayStation Now streaming service for all legacy Sony devices - including the PS3, PlayStation Vita, PlayStation TV - as well as certain TVs and Blu-ray players. PlayStation Now, which lets subscribers stream over 450 PS3 games without needing a game disc, will soon be supported only on the PS4 and recently added Windows PC. In an official blog post, Sony says it pared down supported devices to concentrate on those two platforms, saying it will "further develop and improve the user experience" in the process. Sony notes any current saved data can be accessed from the cloud on both PS4 and Windows PC, ensuring any hours spent climbing the towers in Catherine or battling mythical beasts in God of War III won't go to waste. Sony urges those who use these devices as their primary system for PS Now to disable any auto-renewal features in their accounts so they aren't charged for the service after the devices are dropped. 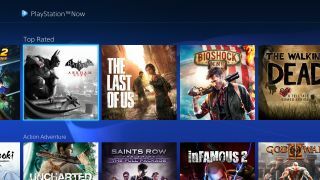 PS Now currently uses one- or three-month subscription intervals for customers, meaning most have time to cancel the service before Sony drops support for their device. As for those who may have purchased a three-month extension and will cross over the April 1 date for 2016 Sony Bravia TVs, we've asked Sony about the potential for refunds - as well as any additional compensation to all users affected - and will update this story if we hear anything. Could GameCube games be coming to the Nintendo Switch?